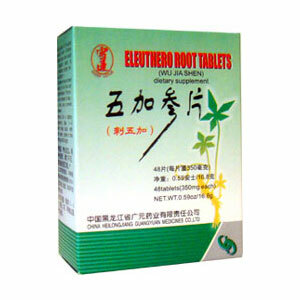 Accelerates the function of the brain and kidney. Whets the appetite, improves eyesight and hearing. Strengthen vital Qi and tonify kidney jing. Calms the spirit, improve brain function. Snow Lotus Brand – China Heilongjiang Guangyuan Medicines Co., Ltd.
A native herb of Changbai mountain which Chinese herbalists have been using for thousands of years to help maintain proper immune function. Neurasthenia, insomnia, incubus, amnesia, fatigue, dizziness, poor appetite, migraine headaches, palpitations, depression, anemia. Impotence, impaired sexual desire, anxiety, inflammation. Take 3 to 4 tablets twice daily (in the morning and in the evening) with warm water.